malnutrition in utero. Mare nutrition is fundamental to good bone formation in foals. conformational defects that lead to asymmetrical weight loadings. 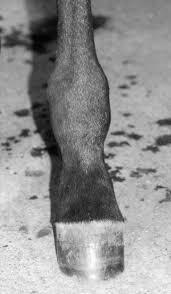 Excessive loading (through obesity and in some cases fine bones foals with a large body) or weakened bone and/or cartilage, or a combination of these factors. during the acute stage a vet must be called.